Anyone who’s sat in a salon chair and asked for a blunt haircut knows that the style requires a steady expert hand. And if you’re throwing bangs into the mix, well, we hope your stylist has excellent reviews too. The stakes are high when you trust someone to deliver such a precise, straight-edge look, but when it’s done right, the results are well worth the wait. As with any other style, there are plenty of variations to choose from — and we’ve shown you plenty — but the same can be said for bangs too. Whether they’re high up on the forehead or just above the eyes, you’ve got more options than you think. And, of course, there’s plenty of hairspiration to get you started. 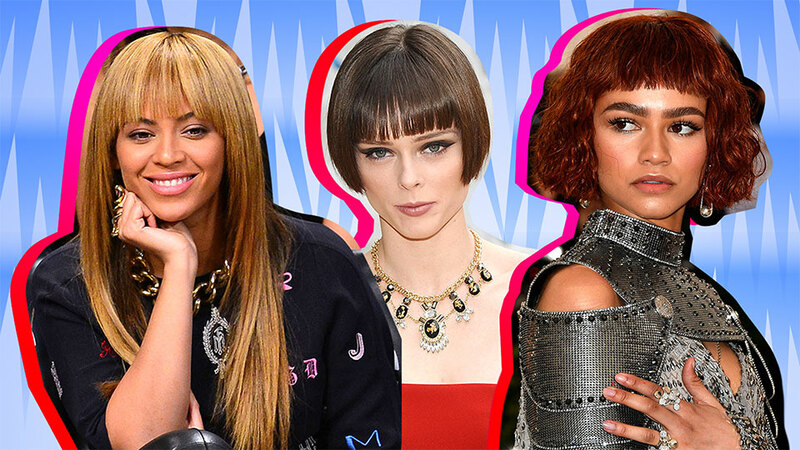 Ahead are some of the best blunt bangs we’ve seen on the red carpet, from Zendaya to Jessica Biel and plenty more. Constance Wu's blunt bangs were one of our favorite hairstyles at the 2018 Vanity Fair Oscars party. Back in 2014, Chrissy Teigen stepped out in one of her most memorable hairstyles to date — thick, straight-edge bangs. Kelly Osbourne is known for her cutting-edge hairstyles, including this pin-straight lob with bangs to match. Fernanda Ly's signature hair is always pink and includes a set of straight-edge bangs. 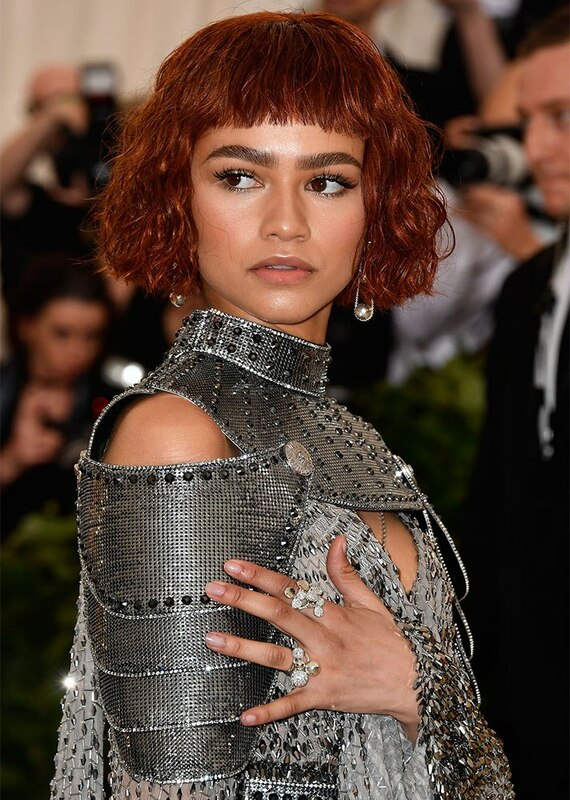 At this year's Met Gala, Zendaya stunned in this red-hot bob, complete with wavy blunt bangs. 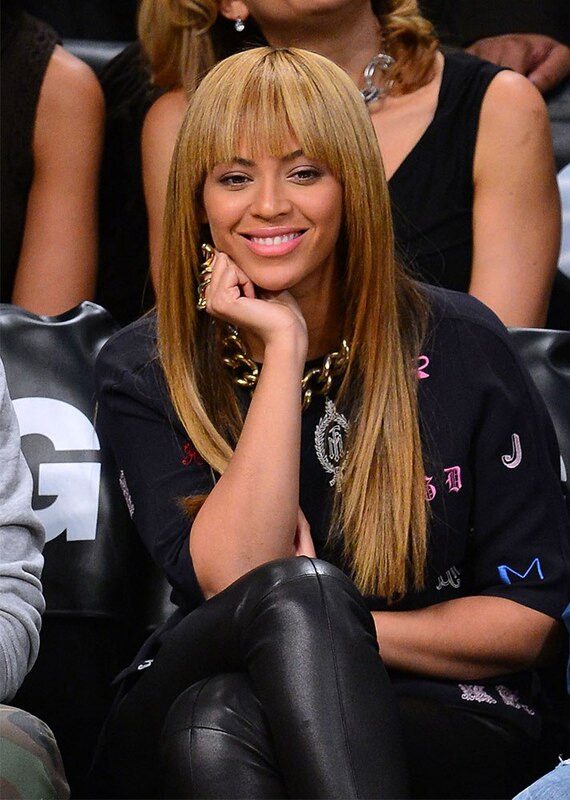 One of Beyoncé's most memorable courtside looks includes a set of straight blunt bangs. Camilla Belle's long brown bangs were the perfect complement to her almond-colored eyes. Coco Rocha, also known as the queen of posing, looked every bit the supermodel when she opted for this cutting-edge look. Gigi Hadid looks great in pretty much any hairstyle, including those with blunt bangs. Jessica Biel has worn bangs throughout most of her career, and that includes blunt ones. 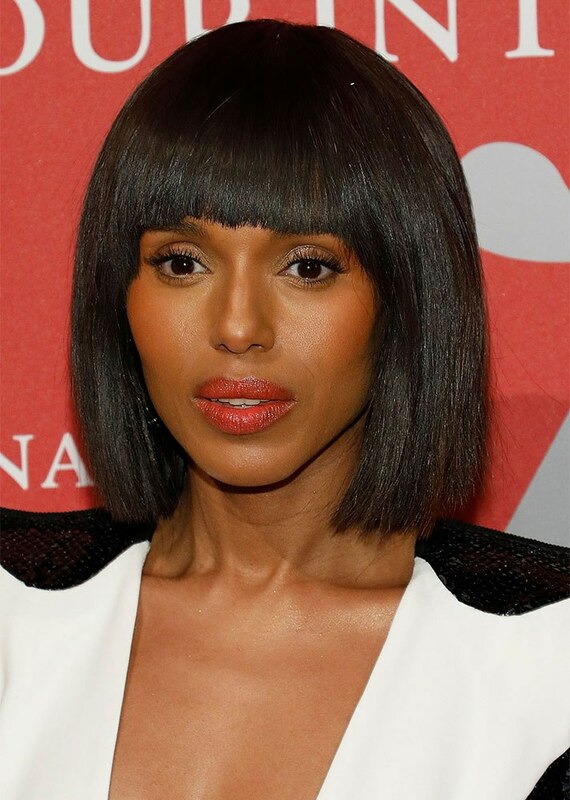 Kerry Washington's blunt bob simply wouldn't have been complete without blunt bangs to match. Lily Collins' baby bangs make up one of her best hairstyles to date. At the beginning of her Good Girl Gone Bad era, Rihanna dyed her hair jet black and experimented with a plethora of looks, including blunt bangs. Back in 2012, Rooney Mara attended the Oscars in blunt bangs from ear to ear. 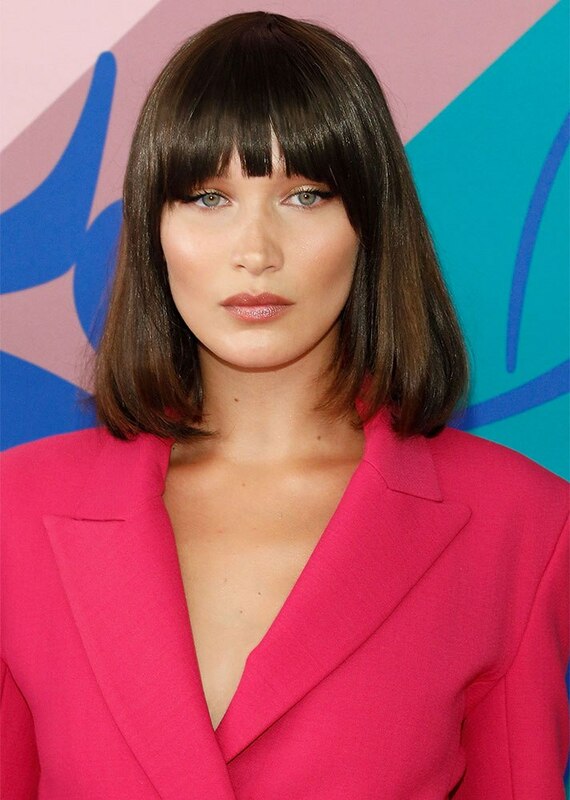 We loved when Bella Hadid cut her hair and framed that gorgeous face with blunt bangs. Nicki Minaj looked like a real-life Barbie when she fashioned her blond hair to include a set of super-straight bangs. Who could forget when Emma Stone first went blond and looked like a brand-new woman in ombré bangs? Naomi Campbell's signature mane has almost always included a set of bangs just above her eyes. Justine Skye, also known as "the purple unicorn," has experimented with blunt bangs over the years. Katy Perry's wig collection includes plenty of looks with fierce, straight-edge bangs.